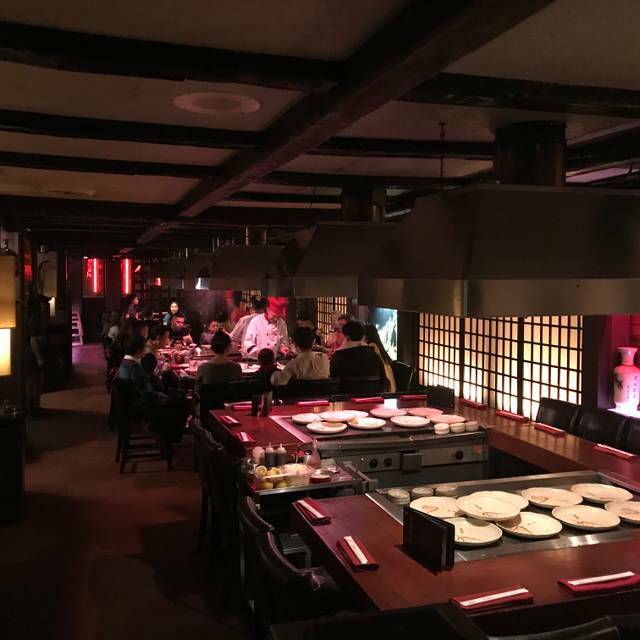 Here at the "KOBE", we carry on the ancient art of teppanyaki - hibachi style cooking, in authentic Japanese country-inn ambiance. The word "KOBE" suggests to the gourmet the ultimate in the finest beef, raised on delicacies, and gently massaged to perfection. 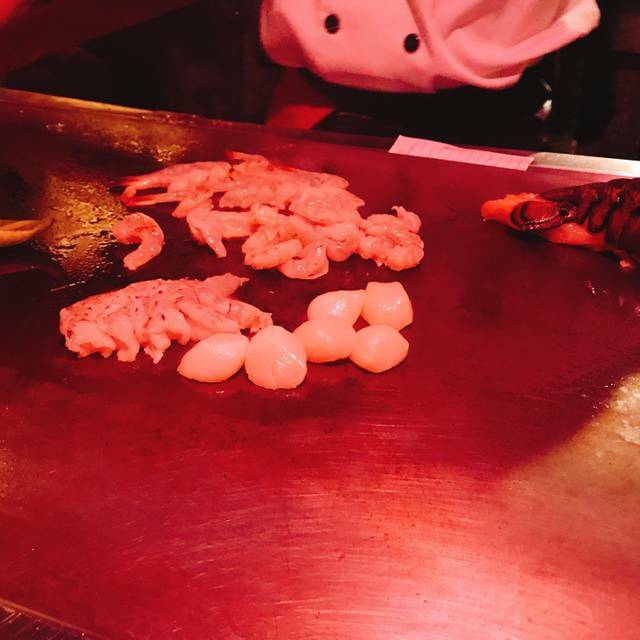 Watch....as we lovingly prepare the tenderest steak, the freshest seafood, free-range chicken, and garden fresh vegatables....all before your very eyes in true Japanese style. Our Finest Melt-In-Your-Mouth Cut! Simply delicious! Kobe Original Famous Cattleman's Cut, unchanged for 45 Years! This Gem is our twist on the traditional Margarita. Made with Olmeca Gold Tequila, Blue Curacao and Fresh Lime Juice – this frozen treat will bring you South of the Boarder! 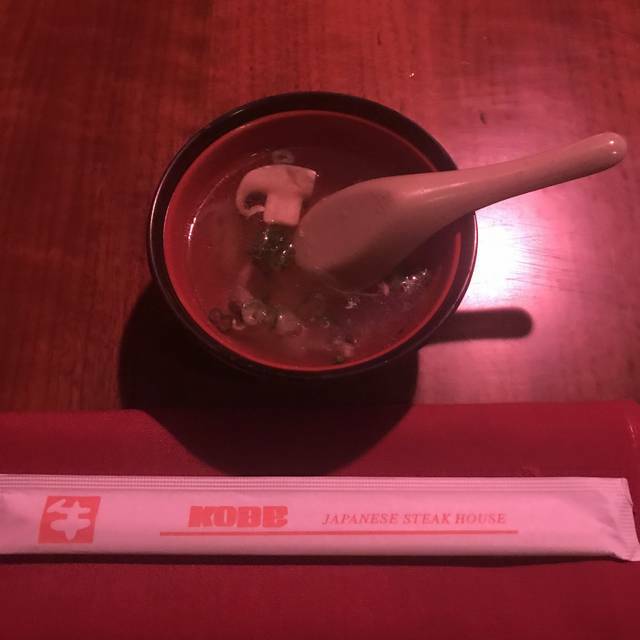 Love Kobe’s - is a fav! Very good food, nice but unobtrusive entertainment. Courteous staff. Note there are lots of stairs. It's been over 40 years since the last time I dined here. Won't be that long until the next time. An amazing evening. Thank you so much. Absolutely amazing! Took my boyfriend here for his first time on his birthday and he loved it! Food is delicious and they really make you feel great! He even got to take a photo with the chef! Great Wagyu steak and seafood! Other food are very average or below average. The chicken was especially tough. Prepare to spend lots of $$ if you want good food here. 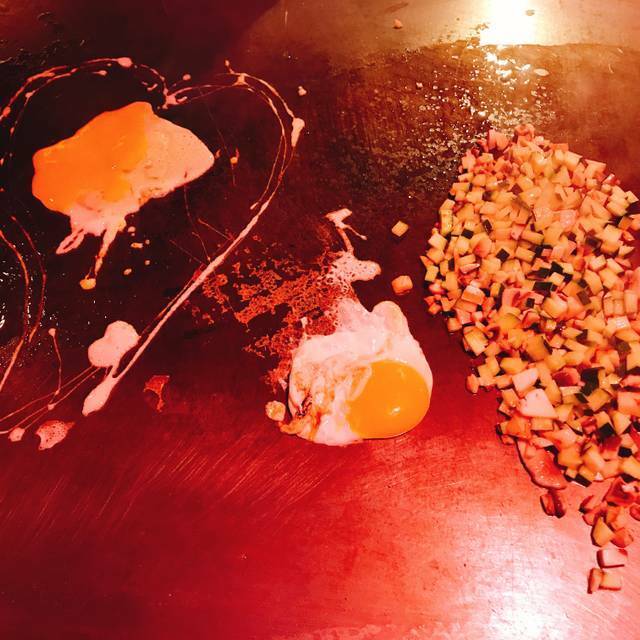 The chefs are great and put on a fiery show. Portions are generous, shouldn’t have a problem being full. It was smoky. My eyes were burning by the end of dinner. Had a great meal before heading to a concert. Chef was awesome and entertaining. All staff were very attentive. Our chef, Cliff was awesome! My girlfriend and I had a great time celebrating our anniversary! Unfortunately we were sat beside a very loud speaking person that made my daughter feel a little uncomfortable. Other then that the food and chef were great! Unfortunately we had the pleasure of the Gang Squad showing up (all 10 of them) we were uncomfortable at didn’t realty feel safe. They did not bother us, but there presence was visible and for good reason I am sure. Will we be rushing back there No. As always, everything was great! I loved the chef we had, he was funny and very entertaining. 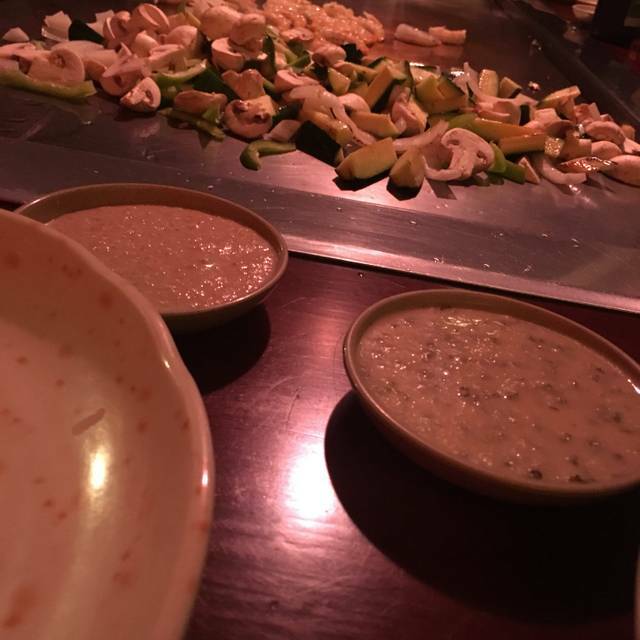 Great food, very friendly staff and an awesome experience overall! Was a bit expensive but the quality of food is excellent and if you use the Entertainment Book coupon, it definitely is a good value. 2 thumbs up! The food is fantastic but for the price I would expect better service. It was very rushed. I hadn't sat down and I was asked for my drink order. I started looking at the drink menu and I was approached for my dinner order. I opened the dinner menu and the cocktail server was back asking for my drink order. My party hadn't finished eating and servers were asking to take dishes away. I think they had us in and out in an hour - not exactly the mood I want for a Saturday night dinner. i had so much fun celebrating my boyfriends birthday, although when i made the online reservation i said it was a birthday nothing was really said to him. all the other birthday people got something around him when he didn't which i kind of felt bad. but either then that it was great and the food was good! our chef was really funny so made it even better. We were at Kobe to celebrate a birthday, out reservation was for 730 we had arrived a few minutes early, we were asked to wait in the lounge until our table was ready. We waited well over half hour for our table. We did not have any server come to us in the lounge to take a drink order while we waited. Even though i had tried multiple times to get their attn. I had to get up and ask the host if i could go to the bar tender and put in an order,they told me no that our table should be ready soon. So we waited a little longer. We finally were called to be seated and there seemed to be some confusion with the number of people at the table. This delayed us a little longer. So basically from the time we arrived to getting our seats and some drinks in our hands it was well over 40 minutes. I would have to say this was poor service. Max was an amazing cook and host. He was hilarious and really made the classic Kobe lines fun. Great job on your first day..Food was delicious and it was great to go right at opening as it was much quieter. We will be back like always. Food was amazing and Raffy was very entertaining. We love every bit of it. Definitely will come back. Yes, Kobe is expensive but its also really fun. 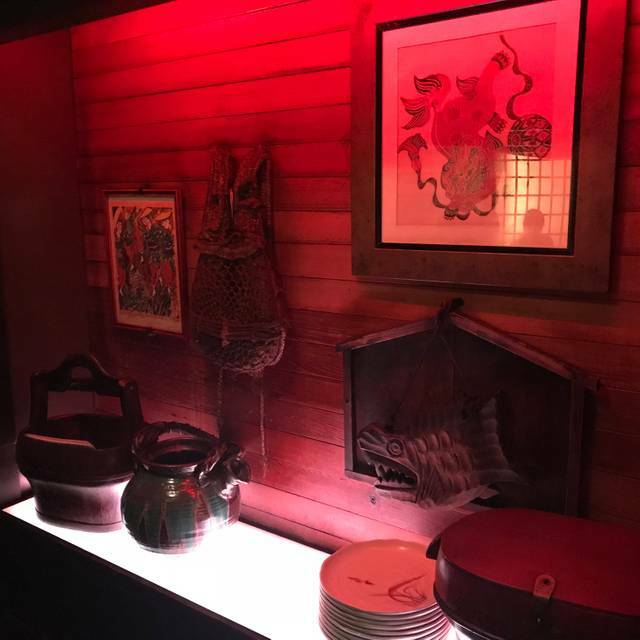 I've been coming here for years and find it to be a great place to bring guests from out of town, or even to go on a date if you want somewhere entertaining. pricey! But worth it! If you can't treat yourself once in a while then what's the point! The food and service were great. I got the chicken teriyaki without mushrooms and my boyfriend got the filet mignon medium rare. Everything was seasoned and cooked amazingly. The only thing I was a fan of was the cramped atmosphere. I’m not a fan of tight spaces. There was little wiggle room. That being said, once our meal started I no longer noticed it and enjoyed the rest of the evening. 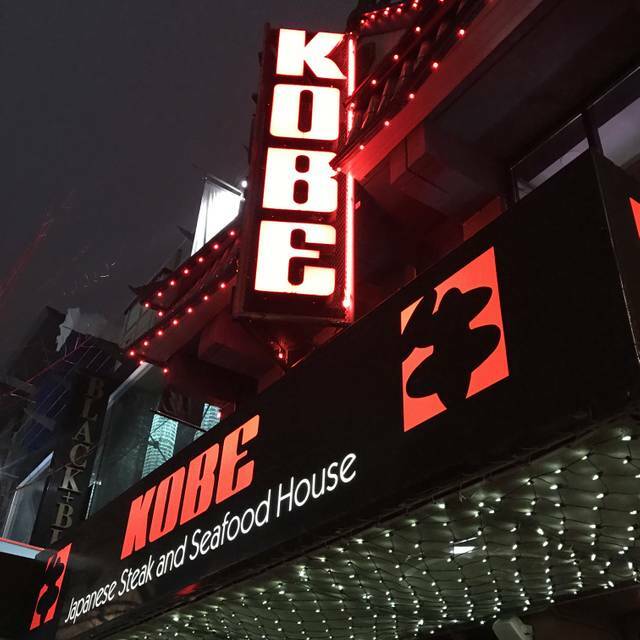 I always love Kobe’s - my fav place for dinner!! Loved our dinner. It was an enjoyable time!! Thank you. A wonderful overall experience. Entire staff was friendly, ambience was nice, drinks were good, food was tasty. We were one of the last reservations of the night, but never felt we were being rushed. Had the most amazing evening with my family to celebrate my birthday. Wonderful food, great service, amazing chef, and all with a dash of entertainment and fun! Had such great fun!!! Would recommend to everyone!!! We would recommend. But is getting very expensive. Great dinner with colleagues- fun atmosphere and great food! The service and food was excellent. Our server CC and our chef Max were outstanding. 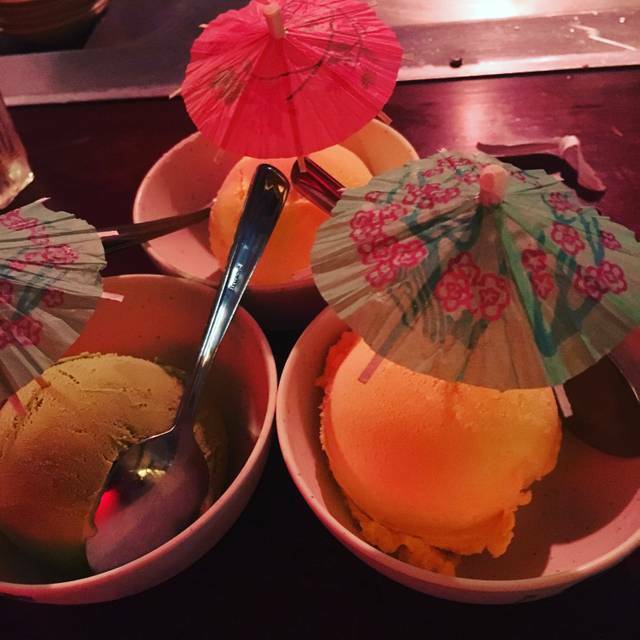 We love this restaurant .... each and every time their service is great and food is great. We have taken our kids... age 10 and 5... and they have loved it! Adverage food and experience but certainly not worth the $ IMO. The service staff was quite good however but will not try again. We paid $20 for extra sharing plates. Because my gf cannot eat seafood today, so they said they will give her extra vegetable instead. But actually, both of us just have 1/2 of all plates compare with other 9 customers on the same table. And they did not give me the shrimp. I already told them just my gf don’t want to have seafood tonight. And the serve is so horrible. The cook just care about other 9 customers not us. The Japanese green tea on the menu I never see it, and the service did not mention it at all. 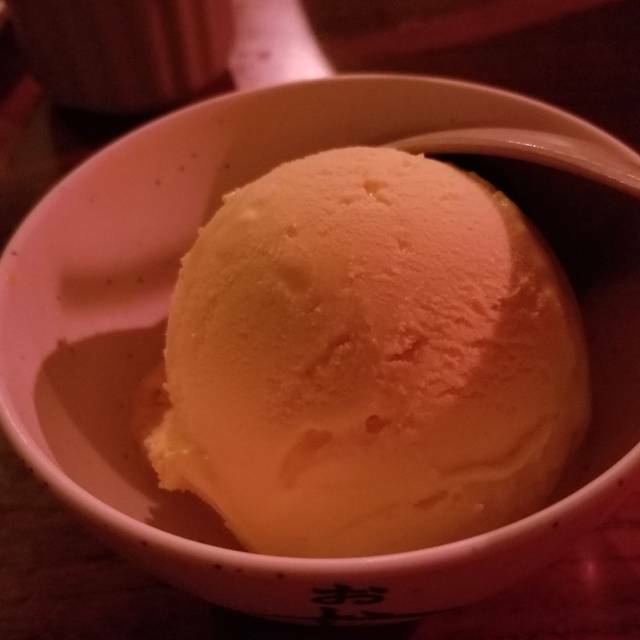 Before I paid the bill, I asked them all this questions, the service just said, she will give us one scoop of ice cream, she cannot do anything instead of this. I I’ll not come back again. The hostess was quite rude even though our group was going to be late and they kept saying they were fully booked which by looking they were not. Also I felt pressured into ordering because I understand we were late and I did say that I would order for 1 person who was still not there but not for everyone. They didn't have to be rude about it. Especially when we had someone leave to go to the bathroom, you can't expect us to order for someone who is there but happened to go to the bathroom. If you are going to willingly seat a group late, don't rush them. Thankfully the chef made up for the experience but I highly doubt I'll be back. Hostesses were rude and gossiping about others blatantly at the hostess area. I love the food and the showman ship. Need to bring a groupon next time. We had an excellent meal and service. You are being entertained in a group at your table and it is fun. It is also loud with the other tables around. The only negative comment is you are kinda crammed in like sardines so they can get as many people possible at the table as the seating times are set and best to have a reservation.